Thanks for stopping by! I'm a Bay Area graphic designer, surface pattern designer, illustrator, and overall creative enthusiast. I graduated with honors from California Polytechnic State University with a BFA in Art & Design, concentration in Graphic Design, and went on to work for a branding and package design studio in my hometown of Petaluma, California. Please drop me a line if you would like to discuss a freelance project, have a licensing inquiry, or if you have any questions! 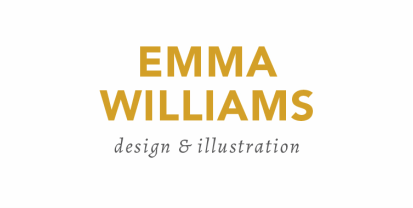 © 2019 Emma Williams. All rights reserved.